“Sticks and stones may break my bones but words will never hurt me.” We have all used that retort as children, and maybe some of us still use it from time to time, but there is little doubt that it isn’t true. We may have slightly more sophisticated responses as adults, but chances are that words can hurt us, sometimes deeply, particularly when they are from someone close, someone who inhabits that inner circle of security. Why? 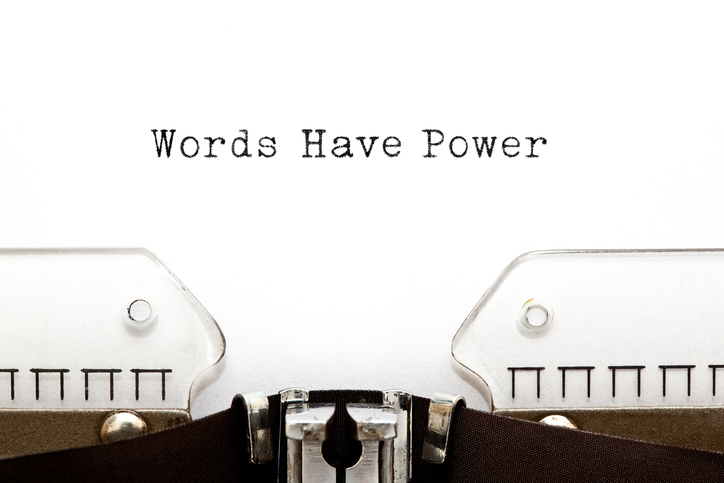 Because words have power, more than we like to admit, even when delivered with a wink and a nudge. Indeed, teasing is all about power and the imbalance that it creates. When someone close to us teases, we’re caught in our inadequacies. We think to ourselves, “What is he saying? Why would she say that? Is there something wrong with me?” As a result, teasing is one of the more perilous relational practices that we condone as people and as a society. Since teasing walks such a perilous social line, wouldn’t it be better for people of faith to stay well back from the cliff? As Paul urges in Eph. 4:29, “Let no corrupt word proceed out of your mouth, but what is good for necessary edification, that it may impart grace to the hearers.” What exactly does corrupt mean in this setting? Clearly, it means anything that doesn’t build up the listener—that doesn’t impart grace. What is grace? It is undeserved favor. Words have incredible power either to bestow grace or target weaknesses. Is teasing a socially-accepted indulgence that pleasures the teaser, but ultimately weakens our relationships? In order to get at this question, I interviewed five couples in different stages of their relationships—one couple married for fifty years, one married for one, and the rest somewhere in-between. These were healthy relationships—not ones that were already in trouble. Even though it wasn’t a scientific study, I met with them to ask a simple question: what place does teasing have in your relationship? The first and most difficult question in the study is a definition of what exactly constitutes teasing. Definitions of teasing can range all the way from flirtation to bullying. According to various studies, it can be anywhere from “pro-social” and affiliative to destructive and abusive. Surely a definition cannot be so very broad and be useful, and so this is exactly where scientific studies have struggled. Dacher Keltner of UC Berkeley, a renowned researcher in this field, has defined teasing as “an intentional provocation accompanied by playful off-record markers that together comment on something relevant to the target.” He further notes that the word “teasing” is derived “from the Anglo-Saxon ‘taesan,’ which means to tear apart, and the French ‘attiser,’ which means to stoke furnace fires.” Researcher and author Jess K. Alberts identifies four elements to teasing: 1) aggression, 2) playfulness, 3) humor and 4) ambiguity. I find hiding under these definitions a fifth element: truth. For a tease to have any teeth, it must contain relevance. There must be intentional targeting at work or it just isn’t teasing. For example, if you try to tease someone about being bald, fat or annoying, but they aren’t bald, fat or annoying, then it isn’t teasing. The tease would simply be confusing or strange. There must be some element of truth—or perceived truth, as the case may be. There must be an area of sensitivity with a big bullseye tattoed on it for all to see. Teasing is like a big comfy couch where you have placed a pin for someone to shockingly discover. Depending on how aggressive the tease, the couch may be more or less comfy, the pin large or small. But there must be a pin—there must be truth. The first couple that I interviewed were newlyweds. They had known each other for several years, but had also been through some very wrenching struggles in the process—not with one another, but with families and relationships. It had been a pretty intense courtship, and so they seemed more like the inhabitants of a foxhole than your usual playful bride and groom. They were still learning truth about one another, but they knew how dangerous it could be. Truth of the teasing kind was like a grenade in their foxhole. Why pull the pin on your partner’s grenade when you would get hit by shrapnel? Wisely, they never teased. This is completely in keeping with the research, which shows that couples in crisis situations almost never tease. Why? Because we intuitively know that teasing risks damage. One of the key factors of whether or not a tease “succeeds” is whether the target can read the intention of the teaser. Ambiguity is built into teasing. The recipient is purposefully left wondering, “Are they serious?” There are a variety of factors that play into that determination—facial cues, context, familiarity, gender, social status, and so forth. Of course, the teaser will often respond with the familiar line “I’m only teasing” in order to signal their intentions. Survey research shows that teasers and targets very often diverge in the intentions they perceive in the tease, with the overwhelming majority of targets taking it seriously. But what if the intention of the tease is not just to be playful, but indeed, to ask for change? I believe that most teasing which occurs in relationships is actually a subtle or not-so-subtle way in which to ask for change. Teasing is a technique we’ve developed over time in order to passively confront someone about an area of disagreement or conflict while allowing them to save face. Listen carefully to almost any tease and you will hear an element of truth—something relevant—as well as an injunction or a hidden message about something the teaser would like to see changed. Even in the most seemingly innocuous banter, there is an “ask” implanted by the teaser. They are asking for some kind of change from their target. I used to have a roommate that used teasing in that manner. If someone’s dishes had stacked up in the sink, he would tease about it. He would use humor to make a point. When I asked him why, he responded, “I thought maybe humor would make it easier to swallow.” The problem with using teasing in this way is that it delivers personal criticism about a sensitive subject in an ambiguous and a flippant manner. Indeed, my roommate wasn’t actually talking about the dishes—he was criticizing personal habits and discipline. He was addressing a very personal subject in a non-serious way and hoping that the target could make the translation. The likelihood is that the target will respond not with careful listening, but with defensiveness. If no grace or love is imparted in the criticism, then how could it ever be received? As I questioned the couples in various stages of their relationships, what I found is that the newest couples simply could not tease in this manner. It was destabilizing and just too dangerous, and so the wise couples stayed well back from the cliff. As familiarity increased, however, I found that the teasing increased as well, which is in keeping with the research, but something else happened: the teasing itself changed. The content of the teasing became completely benign. As love grew, so did grace. As each of these relationships aged in a healthy way, they developed a safety zone that could handle the conflicts and differences that emerged along the way. I call it “unconditional positive regard,” but a phrase that is borrowed by Dr. Steve Peisner is “beneficial certainty.” What that means in a relationship is that “I love you for exactly who you are, and not in spite of who you are.” There is a big difference. Let me explain. Over the years, I have found that many couples get together in spite of their differences. The belief is that they can change the other person into who they want them to be—into a mirror image of themselves. That may be love, but it is not a deep, sustaining love and the truth is that it never works. Show me a relationship where two people have made a commitment to change one another and I’ll show you a relationship riddled with one tease after another. The thing that can make marriage great, however, is not that you have a partner who will put up with your flaws, but that you have someone who loves you for just exactly you who are. Beneficial certainty means that you want to bring out the very best in one another. It means that you see the deepest truth and so you use your words carefully. When I interviewed my last couple—the fiftieth anniversary one—I knew what I expected to find. I expected to find that teasing had no place in their relationship. What I found was the exact opposite. They almost took umbrage at the idea that teasing would be found questionable. They thought of themselves as big teasers, much to my surprise. This is in keeping with scientific research, which says that satisfied romantic partners tease in more pro-social ways. As I questioned them about teasing, however, I found something different. They had really redefined teasing. It bore little or no resemblance to teasing as modern society knows it. For them, teasing had no negative comment whatsoever—no intentional targeting of inadequacies. Instead, it was about bringing out the best in one another. It was about grace. Bottom line: they understood that words have power either to tear down or build up, to destroy or bestow grace. My roommate eventually became the best man in my wedding. He had had some struggles with relationships over the years, and so periodically, he would come to me for advice. I tried to explain the above to him, and he had a hard time grasping what I was talking about. I remember him asking me, “But what do you do when that little thing just bugs you, the way that she laughs or chews her food?” I said, “I try to embrace the very thing that bothers me. I try to love her, not in spite of our differences, but because of them.” He responded: “What about the serious issues? What about real differences?” After a brief pause and in a moment of clarity, I said: “The same. You cannot change something in someone if you haven’t chosen somehow to love them first.” As love grows, so does grace. Baxter, L.A. (1992). Forms and functions of intimate play in personal relationships. Human Communication Research, 18, 336-363. Keltner, D., Capps, L., Kring, A.M., Young, R.C. & Heerey, E.A. (2001). Just Teasing: A Conceptual Analysis and Empirical Review. Psychology Bulletin, 127, No.2, 229-248. Alberts, J.K., Kellar-Guenther, Y. & Corman, S.R. (1996). That’s Not Funny: Understanding Recipients’ Responses to Teasing. Western Journal of Communication, 60 (4), 337-357. Brown, P., & Levinson, S.C. (1987). Politeness. New York: Cambridge University Press. Drew, P. (1987). Po-faced receipts of teases. Linguistics, 25, 219-253. Keltner, D., Young, R.C., Heerey E.A., Oemig, C., & Monarch, N.D. (1998). Teasing in Hierarchical and Intimate Relations. Journal of Personality and Social Psychology, 25, No. 5, 1231-1247. This is great, Dan. You have explained in a clear way the nature of harmful teasing. I would be very interested to hear more about the structure or components of pro-social teasing, the way the fiftieth anniversary couple does it. How do you tease in a way that brings about the best in someone? Thanks for your kind remarks. Yes, you raise an interesting question. When I interviewed the oldest couple, I was struck by the fact that their definition of teasing fell outside of any conventional understanding of teasing. Unfortunately, they weren’t really able to give me any good examples of pro-social teasing–only the negative that they avoid. However, it happens that I lived with this couple for a few years while in school, so I was able to witness their interactions. I would say that their teasing amounts to praising one another’s strengths in silly or playful ways–as opposed to targeting weaknesses. So that is how I saw them use playfulness to build up with grace. It would be another good post, perhaps. Great post Dan! I would add Prov. 26:18-19 to this, I especially like the NLT’s translation in context of your post. Great word brother, keep it coming.